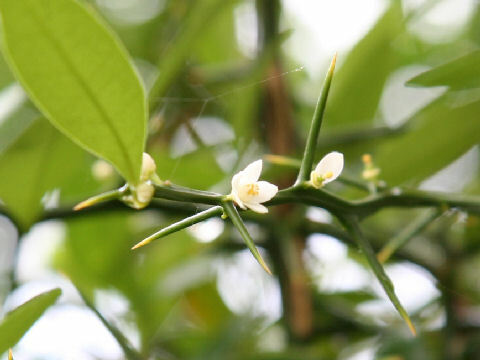 Hong Kong kumquat (Fortunella hindsii) belongs to the Rutaceae (the Cirtus family). 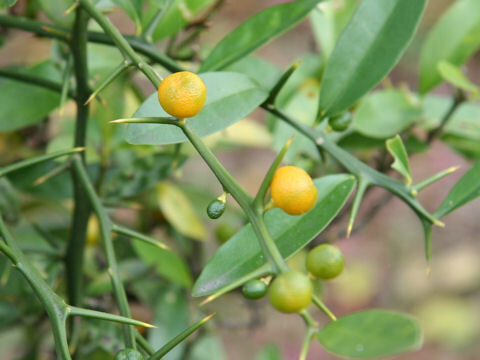 It is a small evergreen tree that is distributed from southeastern China to Hong Kong and Taiwan. This tree grows up 1-3 m in height. The branches are slender, with a lot of sharp thorns. The leaves are ovate-elliptic to oblanceolate and arranged in opposite. 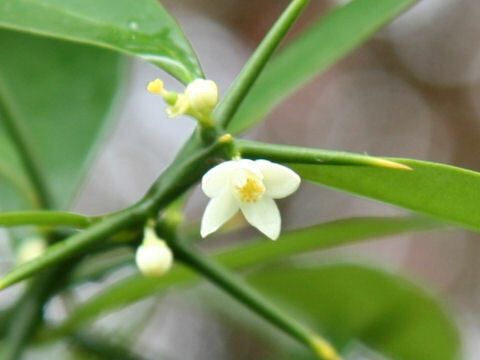 The small white flowers bloom from June to July. 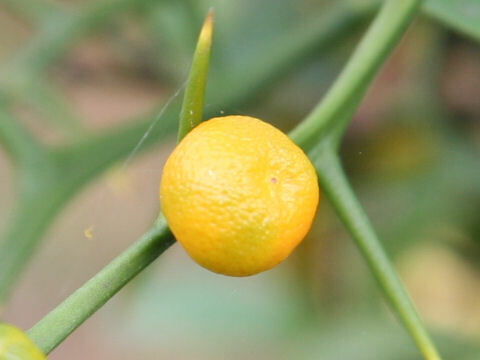 The fruits are globular or oblate, and ripen orange. Because they are small, they don't suit the eating raw and are processed with the marmalade and so on. It is called "Kinzu" in another name.